Write for Success: Preparing a Successful Essay for Your Application to Health Professions School is geared specifically to helping you write clearly for the tasks related to the health professions application process. Through the use of examples of both successful and unsuccessful applications, critical reviews of actual applications by three admissions deans, and advice from the experiences authors. 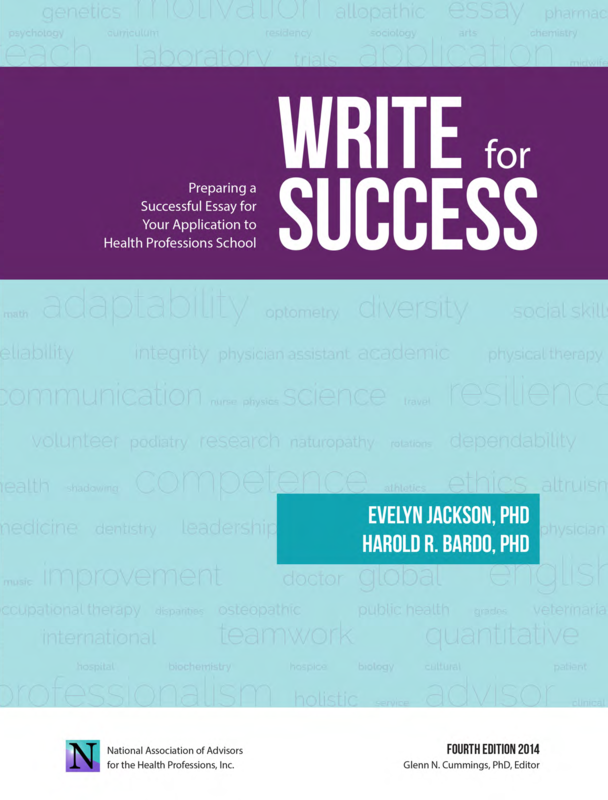 Write for Success will help you realize your dreams of matriculating into a health professional school. The importance of writing clearly must not be underestimated. Admissions committees report that factors other than GPA and entrance exam scores play a critical role in the evaluation process. One of the criteria mentioned repeatedly is the personal comment section of the health professional application. Write for Success is designed to help the student with writing this statement for the professional school application. Evelyn W. Jackson, PhD and Harold R. Bardo, PhD are Associate Professors in Medical Education at the Southern Illinois University Carbondale School of Medicine. Dr. Jackson teaches basic skills courses in the Medical/Dental Education Preparatory Program (MEDPREP) of the School of Medicine and serves as the academic advisor. Dr. Bardo is the director of MEDPREP. Fourth edition edited by Glenn N. Cummings, PhD.